Beginning his riding career in the fall of 2008, Nick Gegen discovered his passion for horses and everything associated with them late in life. Shortly after taking his first lessons at Wells Bridge Farm, located in Parker, Colorado, Nick began working for trainers Paul Rohrbach and Corky Shaha. Riding, teaching and the general well being of horses has consumed all of Nick’s life in the years since he began working at Wells Bridge Farm. From the beginning Nick had a passion for working to get the most out of any horse that was trusted in his care. This passion began with his first horse who had an overwhelming desire to kick his heals up with a buck that found his rider all too quickly in the dirt. With hours of patience and hard work this horse would teach Nick many valuable lessons in the hunter ring, equitation ring qualifying for the year end equitation finals and taking Nick to his first Grand Prix classes. It was this horse and countless others that opened many doors for Nick including the opportunity to work for George Morris in the fall and winter of 2010-2011. Assisting Mr. Morris at all of his clinics across the country proved an invaluable learning experience for Nick both in his riding and in his teaching. Upon returning to work for Wells Bridge Farm the horse that would shape the next portion of Nick’s career found his way into Nick’s life. Starting out as an equitation horse that was sent with Nick for sale, the partnership that Nick developed with Sancerre would take the two of them to the highest levels of the sport. Over then next several years they would gather placings in grand prix classes and world cup qualifiers across the United States and Canada. In his quest to continue growing and learning, Nick made the decision to move to Southern California in the summer of 2012 to work and ride for Guillermo Obligado and Woodgrove Farm. This move gave Nick invaluable experience riding a vast array of horses and attending the west coast’s finest horseshows. A year and a half of managing and riding in Rancho Santa Fe opened up doors for Nick to develop his own business with clients in Arizona, Texas, and California. 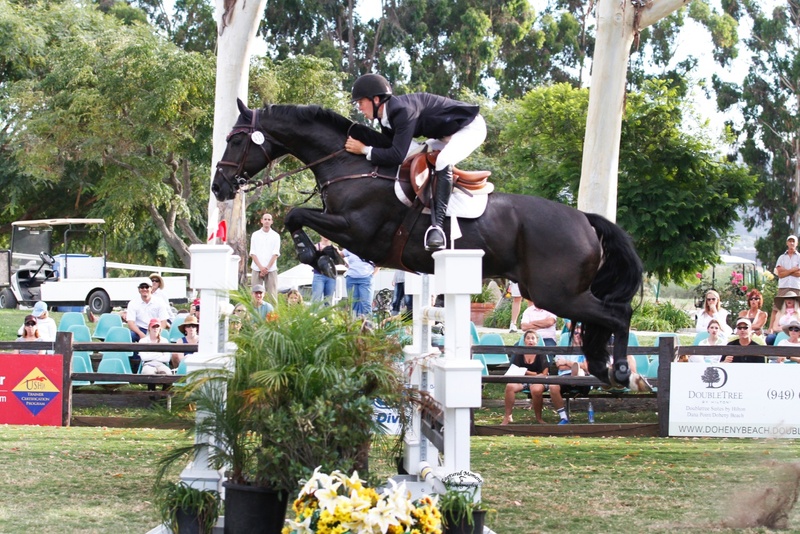 Since starting out on his own Nick has enjoyed bringing along young horses such as Colmar IV to the grand prix level as well as such young horses as Consanto and Enzo H in the young jumper divisions. In his business Nick strives to provide his clients with the very highest level of training for the rider and the very highest level of care for the horse.